It was founded in 1934 after actions taken by the vine growers of the island. The history of the Samos Cooperative through time proves that the alliance of the vine growers was a strategically important move for the preservation of viticulture and the protection of the producers’ income. The UWC Samos receives the grapes, produces the wine and trades almost the entire production of the island. In search of constant modernization, it invests in technology and know-how, in harmonious combination with traditional viticulture and winemaking and in compliance with ISO and HACCP certifications. The wines of Samos have obtained hundreds of distinctions in international competitions and fairs. It is worth noting that the first award was received in 1937, while every year more are added on the long list of international honorary awards and distinctions. The wine from Samos Muscat holds one of the oldest origin-controlled appellations in Europe (Protected Designation of Origin Samos). Since its founding, the UWC Samos receives the grapes and produces exquisite wines from WHITE MUSCAT in two modern wineries in Malagari (the capital of the island) and Karlovassi (the second biggest town) with a total capacity of 20.000 tons. The average annual production is approximately 5.000.000 liters while exports constitute 70% of the production. The Samos Muscat wine travels to countries such as France, Canada, the U.S.A., the United Kingdom, Belgium, Germany, Switzerland, Italy, Holland, Sweden, Cyprus, Australia, Denmark, Czech, Finland, China, Hungary, Romania, etc. New markets are added on every year to the current total of 25 export countries. In March 2016, the strategic alliance of UWC Samos with “Greek Wine Cellars” commenced, a move that will enhance the commercial development of the award-winning Samos wine in domestic and international markets. The UWC Samos is staffed by employees in administration, winemaking, bottling, sales, marketing and communication. Mythology, history and the characteristic name “Ampelos” (Vine) for one of the two mountain ranges that dominate the island, are key words when one thinks about the Samos vineyard with the typical dry-stone terraces and the cup-shaped vines. The history of Samos wine dates back to early antiquity, the historical record includes elements of mythology also. Legend has it that the god Dionysus himself taught the Samians all about vine growing and winemaking in order to thank them for the help they provided to defeat the Amazons. According to tradition, the first person to teach vine growing to the inhabitants of the island was the hero of the Argonauts, Agkaios. We find historical references in antiquity for the wines of Samos in Hippocrates, Galenos, Theophrastos, while the military ships “Samena” transported wine from Samos to various ports of the world in Samian amphorae with a pointed base. During the Byzantine period, references are also made in the descriptions of the traveler clergyman Willibald who visited Samos in 741 AD during his trip to Jerusalem. The fate of viticulture follows the turbulent history of the island and is often interrupted by raids, culminating in the almost complete desolation of the land during the 15th century, resulting in the abandonment of vineyards, as natives resort to inaccessible mountain areas where they live in hiding. A century later, Samos is recolonized with new population from all parts of Greece, and that is when the history of the island’s Muscat wines begins again. During the Ottoman occupation and after 1562, European forces seem to be commercially interested in the wine and for this purpose Consulates are founded on the island. In 1700, the French traveller Tournefort, and in 1787 the German Frieseman recorded a “muscat wine” production estimated at 3.000 barrels. Since the end of the 19th century, Samos has been supplying branded wine to the markets of the East and West, and the Catholic Church grants Samos the privilege of producing wine certified by the Catholic Mission.The “Ecclesiastical Wine” is also used by the Orthodox Church for the celebration of the Holy Eucharist. The principal objective of the UWC Samos, as a cooperative, is the economic and social advancement of its member vine growers and the Samian society, in general. 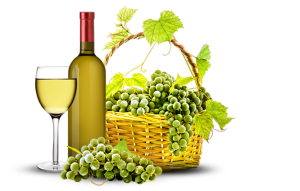 Its main objectives are: the preservation of viticulture, the association of the Cooperative with products and services of high, constant quality, strengthening of brand awareness, the continuous improvement of their quality and creating new ones that correspond to the current needs and wants of the consumers. In addition, the increase of the market share of Samos wines internationally and the continuous expansion into new markets with the aim of maintaining upward trends and increases in sales. Since March 2016, the strategic alliance of the UWC Samos with “Greek Wine Cellars” has been building, a reference point for the further commercial development of the award-winning Samos wine, with the aim of strengthening its position in domestic and international markets.